Dried vegetables are useful to have on hand. Many cooks use dehydrated carrots, onions, and celery as aromatics when making soup stock and don't want to run to the store for that vegetable they're out of. In soup recipes other than stocks, dehydrated vegetables are excellent in pureed soups (the texture is a bit off for chunky soups). You can also add them to casseroles, and even baked goods such as zucchini bread. Most but not all vegetables need to be blanched before they are dried. You can do this by briefly immersing them in boiling water. 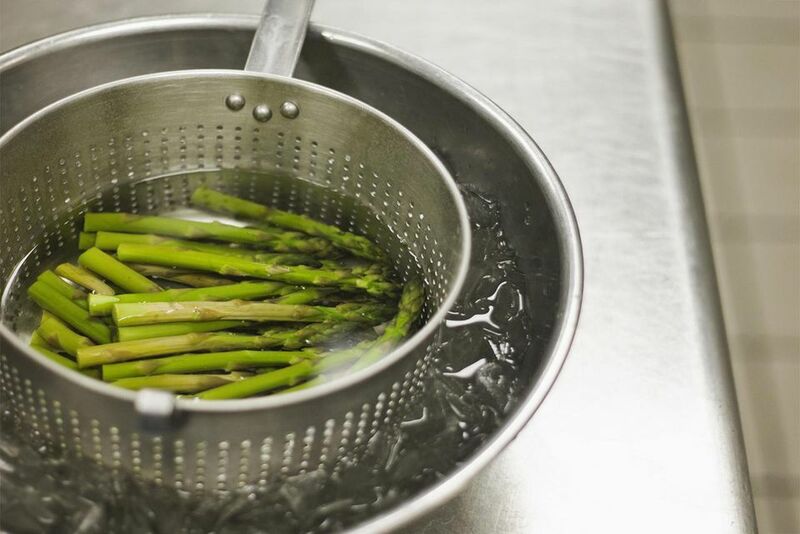 This blanching step destroys enzymes that would otherwise survive the dehydration process and cause the food to decline in quality over time. Once they have been blanched, the vegetables will keep their colors and flavors much better than they would have if you had dried them without first blanching. For example, if you dehydrate celery without blanching it first the result is the color of pale straw. But blanched, it will keep its bright green hue for well past a year in storage. To blanch vegetables, bring a large pot of water to a boil. Chop the washed vegetables into pieces between 1/8 and 1/2-inch thick. Drop the vegetables into the boiling water and leave them there for the amount of time specified in the following list. Drain them in a colander, then immediately transfer them to a large bowl of ice water or run them under very cold water until they are completely chilled. Drain again before dehydrating. You could also first loosely wrap the vegetables in a cheesecloth bundle (no more than one quart of vegetables at a time). Drop the bundle into the boiling water, then simply lift out and transfer the whole bundle to a large bowl of ice water.